Games had a special place in Mayan society. They carried a religious significance as well. Often the games were coupled with rituals and sacrifices. Among the most notable Mayan sports was the ballgame which was usually played in a huge ballcourt usually situated near a temple. The Ballgame was based on a mythical legend related to Mayan gods and the game itself was played as a sort of religious event which was attended by the religious and political nobility of the city. The Mayan ballgame, the most famous sport at Mayan cities, was believed to have originated with the mythological Mayan Hero Twins. According to the legend, the Hero Twins played the game with the lords of the underworld and defeated them. Mayans believed that this was how the ballgame came to be a prominent part of the Mayan mythology. Based on this legend, Mayans also believed that the sport of ballgame carried symbolic significance and was related to the underworld. Mayans played a variation of the ballgame, a sport which originated in the Olmec civilisation. Mayans added a number of variations of their own to the game. It was usually played with a large rubber ball at a huge court made of stone. The largest ballcourt found in Mayan cities ran the length of 459 feet. The sport had a particularly religious significance for the Mayans and religious, political and military leaders especially attended the ballgames. One of the most imposing ball courts in Mesoamerica is located in the Mayan city of Chichen Itza. 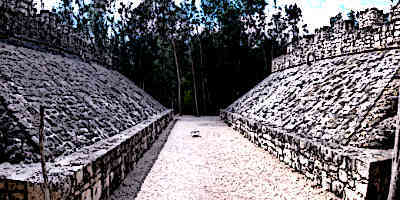 Mayan ballgame was played between two teams. The aim of the teams was to cross the line at the middle of the court towards the court end of the opposite team. Mayans also placed a hoop at the end of the court and extra points were scored if a team was able to throw a ball through the hoop. Since throwing a ball through a hoop was very difficult, the game often concluded as soon as any player accomplished this. 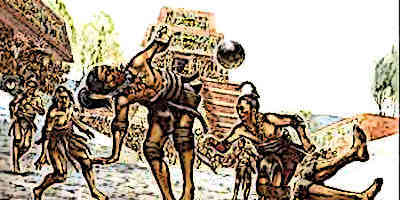 Typical Mayan ballgame required that the players should not touch the ball with their hands but rather push it across the field by hitting it with hips, arms and feet. The Mayans believed that the father and uncle of Mayan mythical Hero Twins played ballgame near the underworld. The deities of the underworld became annoyed and in order to punish them, lured the twin heroes to the underworld. The brothers were captured and sacrificed by the underworld lords and their father was also decapitated. The father’s head was then placed on a tree and it spat on a passing goddess who then bore the Hero Twins. Eventually, the twins went on to play ballgame with lords of the underworld and defeat them. In the Mayan society, the ballgame carried a very important symbolic meaning. It was linked with death and its overcoming, and the ballcourt itself was a sort of symbol for the transition between life and death. It was closely linked to the underworld, a theory substantiated by the fact that scenes from the underworld or symbols related to it were often depicted on the court. Ballcourt itself symbolised the might, influence and wealth of a given city. Richer Mayan cities which rose to regional prominence strove to have elaborate and large ballcourts constructed. This was thought to add prestige to the city. The construction itself was in the shape of a huge I.
Mayans also painted murals on the walls of the ballcourt, depicting their creation myths, major warriors of the city and the captives, which were sometimes sacrificed following the game. Sometimes, the ballgame was also used as an occasion to settle the dispute between two communities or even two cities. The outcome of the game definitively settled the outcome of the dispute which both teams were behooved to accept and abide. The significance of the ballgame in the Mayan culture can be understood from the fact that there were 7 ballcourts in the Mayan city of Tikal alone and nearly every major Mayan city had more than one ballcourt. The games were also played for recreation by the children but most often, its formal versions always carried solemn significance and religious connotations. 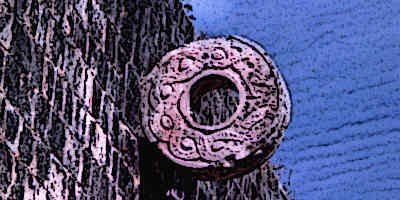 Mayan ball game was often played between captives from outside the city and the natives of the city. Normally, if both teams belonged to the Mayan society, no sacrifice took place. But if the losing team belonged to captives from some other land, they were usually sacrificed as a tribute to the gods. Sometimes, only the captain of the losing team was sacrificed. The Mayans used very hard and heavy rubber ball for the ballgame. So the players wore a range of gear to protect themselves from any injury. A yoke of leather or wood was usually worn around the ribs and torso to protect these parts. Padding was also used around the knees and arms to mitigate any injury from the ball. Sometimes, a handstone called manopla was also used during the game to hit the ball with greater force. Games were a very important part of the Mayan culture. They often had religious significance and were accompanied by different rituals and religious practices. This is well manifest in the most important and famous Mayan game, the ballgame. Mayan ballgame, although probably borrowed from the Olmec culture, was based on a mythological legend. Playing the sport itself was considered a symbolically religious act and it was directly linked to the Mayan conception of the underworld. Mayan priests and members of the political and military nobility usually attended these sports. For Mayans the ballgame presented a stage between life and death. And winning the ballgame symbolised victory over death. On the other hand, losing it meant death but usually only for the captives in the losing team and that too occasionally. On such occasions, ritualistic sacrifice was carried out to present the deaths of the victims as tribute to the gods.